This 15 question survey forms part of a research project that looks at how the new Australian WGEA (Workplace Gender Equality Agency) Gender Indicators will effect reporting organisations when they come into force in 2014. Its looks at the immediate preparation time required, when organisations expect to be ready, and if organisations think that the new indicators will require more administration work to complete the new report than the previous EOWA Employer of Choice for Women. A final report consolidating this research will be completed for distribution to participants by January 2014. The report will be available to all respondents and published on the Diversity Program Review website at http://www.diversityprogramreview.com. Please respond to the survey, your responses are valuable and appreciated. This project will comply with the NH&MRC Australian Code for the Responsible Conduct of Research; the National Statement on Ethical Conduct in Human Research (2007) and will also comply with the standards of participating university groups if applicable. On request, the researcher will provide all focus group, survey and interview participants with a copy of the study’s privacy statement outlining how personal information will be stored. The information in this survey will not be passed on or sold to any other organisation and will be used for the sole purpose of developing the WGEA Preparation Research Report. In addition to this survey, Case Study data used to evaluate Gender Diversity Frameworks will remain the property of participating organizations, and the research team will not reproduce any data without their written consent. Any additional organisations participating in Case Studies will have an opportunity to approve the research proposal prior to commencement and the same ethical standards will apply. Most people, 43% think that the new gender indicators will take longer to report than the previous EOWA, with the majority estimating it will take more than 3 days. 50% of people said that they had a good understanding of the requirements with 43% acknowledging that the cost to report is minimal, but sadly that the benefits of reporting are also minimal, and 42% think that they will not be ready to report on the new indicators at February 2014. 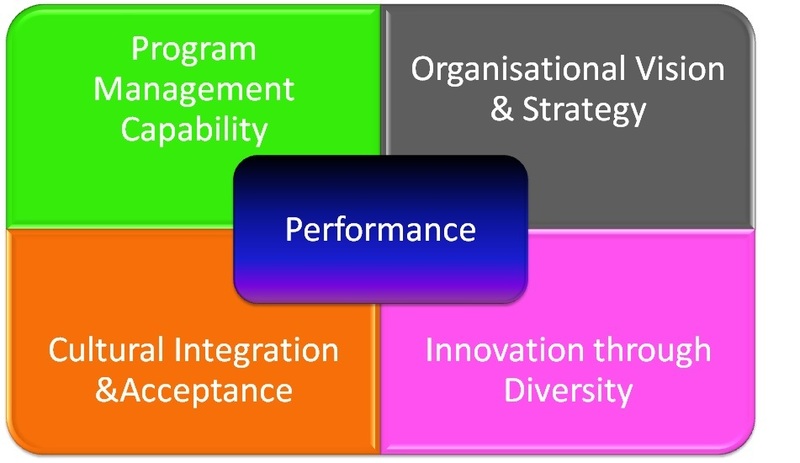 Would you like to find out more about the Diversity Program Review Framework? 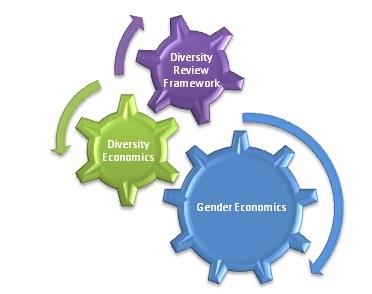 If you have been following my blog you will know that I am in the midst of a research project into the “Profit Impact of Organisational Gender Diversity Programs” and as part of that research I have developed the Diversity Program Review Framework. If you would like to find out more about this framework, please click on the link above in the menu or go to the new website here. The Diversity Program Review Framework will measure both the program’s standalone effectiveness from a program management perspective, and assesses the viability of the program’s data as a research candidate for the broader research project. The review framework is currently being developed and consists of a Program Review, A Capability Assessment mapped to the journey of your program, a number of Survey instrument’s to capture stakeholder feedback and a Comprehensive Report. As my particular area of focus is Gender and Economics, I am also looking at additional catogories within each of these major dimensions to gain as much research data on gender performance against profitablity as possible. The Framework and the resulting reviews are vitally important to the research and I am looking for organisation’s that would be interested in allowing me to trial the review framework with them within the next couple of weeks. These tie into the “Global Diversity and Inclusion Benchmarks: Standards for Organizations Around the World” (O’Mara, J, Richter, A 2011) with some additional detail that I am adding as a result of my research so far. Once the trial is completed I will be offering the Reviews as a consulting service to help fund the remainder of the research. Please contact me using the Contact form if you or your organisation may be interested in participating in this research.